Stars of Erin GAA club nursery training is back Saturday 9th at 10 to 11am in Ballyogan DLR. All boys and girls aged 4 to 7 are welcome. 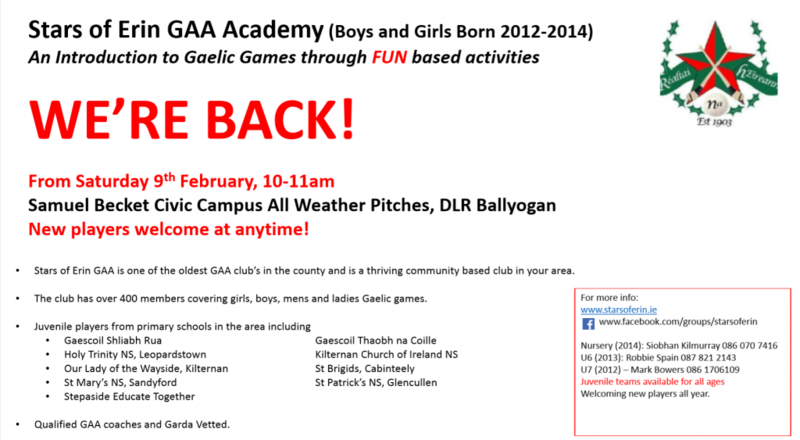 Saturday 8th February to end of April – train in the all weather pitch in Ballogan from 10am to 11am. May onwards – train in our Pitch in Glencullen from 10.00 am to 11.00am.